LatinaLista — For many people, sugar is their very first addiction, started when they were children. Whether from eating sugar-coated cereal, licking heaping scoops of ice cream or drinking tall sweet glasses of creamy chocolate milk, children’s taste buds get an early introduction to the sweet ingredient. So a new campaign, A Day Without Sugar, aimed to keep children sugar-free for a day, may be a tough sell. However, organizers of the campaign hope that the message of how much healthier children’s lives can be without it will be enough of a selling point to get families and groups to accept the challenge. 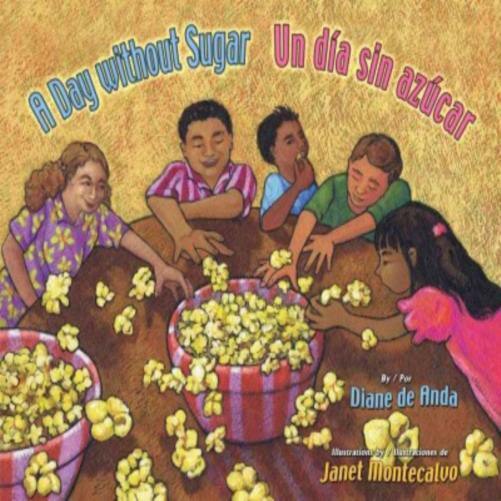 The unlikely creator of the campaign is book publisher Arte Público Press, which is tying the campaign in with its bilingual children’s title A day without sugar by Diane de Anda. Besides just getting children to go sugar-free for the day, the campaign also strives towards two other goals: to educate children and adults as to just how many foods have sugar, and if not controlled in a child’s diet what it can lead to; and, of course, a little literacy. 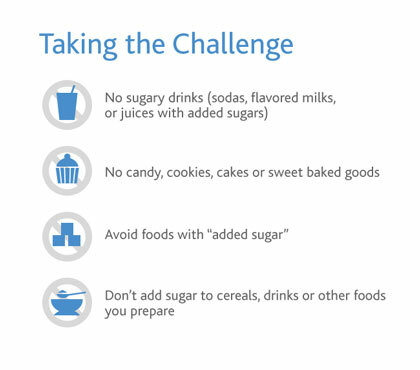 From the campaign’s website, a color book version of de Anda’s book can be downloaded, along with, factsheets about specific challenges to Latino children’s health, recipes and snack tips on how to survive the day with sugar-less foods and a free online toolkit for schools and organizations who want to expand the challenge beyond one day. Considering that a child’s diet high in sugar increases the chance for that child to be obese, diabetic, and develop metabolic syndrome and fatty liver disease, expanding the challenge to make it a lifestyle rather than a contest to see who can resist sugar the longest is a no-brainer. Unfortunately, when it comes to sugar, it’s not the brain that does the talking but the stomach.